You are actively involved in the development of ownCloud and have topics that you would like to share with the community? The ownCloud X Launch Event is your place to do that. On May 23 we will host the official ownCloud X Launch Event in Cologne, Germany to celebrate this landmark release. The conference will bring together the whole ownCloud environment – from the official team to partners, customers, developers and community users. 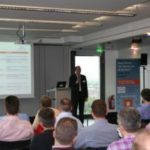 The ownCloud X Launch Event is the main platform for everything around ownCloud and the place to share new ideas, hear about innovative use cases and expand your ownCloud network. We have reserved exclusive speaking slots for the most exciting and relevant ownCloud topics – this is your chance to present your work around ownCloud. Whether you have an unique use case, a new ownCloud app or other exciting improvements on the core code, the ownCloud X Launch Event is the ideal opportunity to introduce your project, get feedback or even find business and development support. 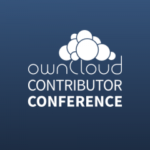 Get involved now and submit your presentation at events@owncloud.com!